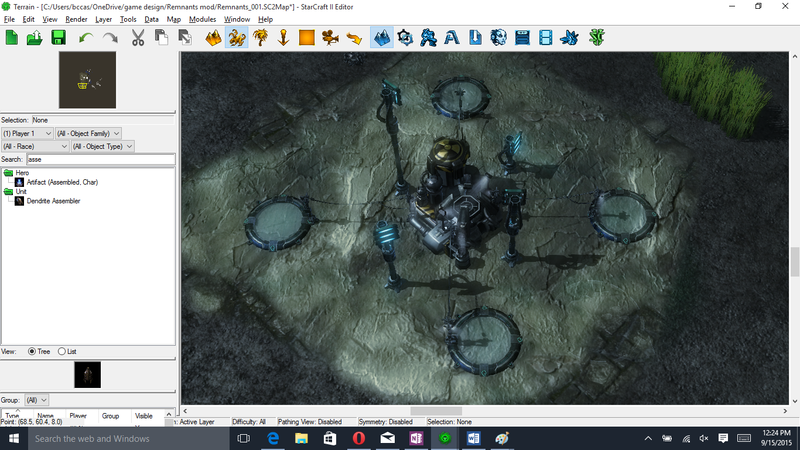 About a week ago I shared some information about the Tier 1 units of the first faction in my in-progress StarCraft 2 mod, the working title of which is Remnants – the faction in question is called the Constructors. I’ve now completed an initial design pass of the units described in that blog post and have moved on to the Tier 1 units and structures of my second faction, which I have been calling the Dendrites. I’m quite excited about this faction and am eager to see any responses to the descriptions of these units. The Constructors are centralized around a single unit that must be both protected to prevent match loss, and appropriately utilized for combat and economic efficiency (as most production and construction must be passed through it, and it is a major source of area damage for the faction). The Dendrites are, more or less, the diametric opposite of this. They are highly decentralized, with a collection of units and structures that comprise their economic and logistical aspects. The center of the Dendrites faction is the Axon, which roughly functions like the Command Center, Nexus or Hatchery from StarCraft 2. It is the primary drop-off for resources and producer of harvester units for the faction. 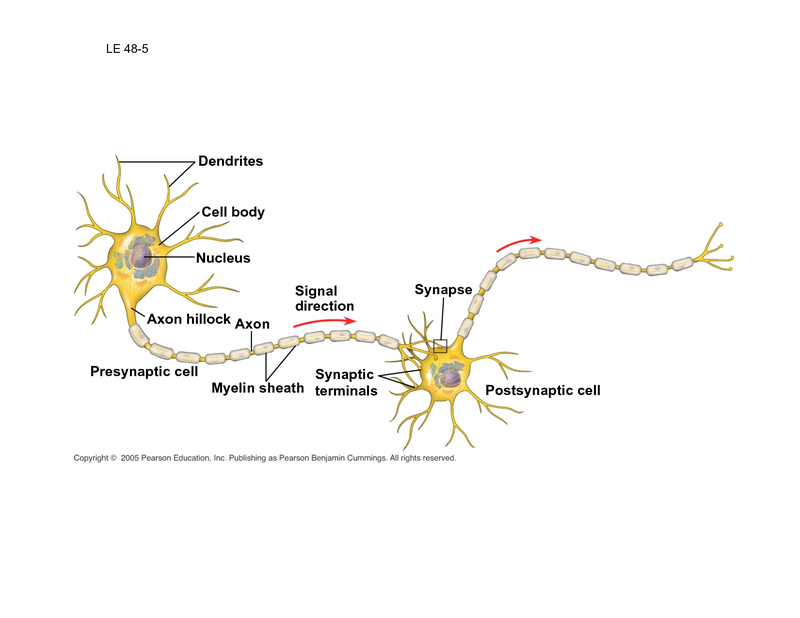 However, the Axon also produces several other Dendrites units, and has a number of passive and active effects it can be upgraded to provide. It should be noted that one aspect of this mod will be limited resource deposits in any one area, making the relative immobility of the Axon a disadvantage relative to the mobile Constructor, though I am planning Tier 2 work-arounds such as a mobile resource drop-off structure to alleviate this. Unlike the Constructor, the Dendrites player will not lose the match if its Axon is killed. Axons are essentially a morph state of another Dendrite unit, the Assembler. Thus, if any Assemblers are alive, Dendrites players can still viably participate in the match, and match loss is tied to the loss of all Axons (which can produce additional Assemblers) and Assemblers (which can turn into Axons) making the Dendrites overall more survivable than Constructors in this way, though their units tend to be individually much easier to kill. Currently, the Axon provides all needed population cap for its faction, while Constructors have to periodically research upgrades to increase their population cap. Additionally, Axons do not need to be built on Power Pads, though I’m planning to make their innate Energy regeneration to be significantly slower when built on regular ground. I have not yet implemented this, so I’m unsure of the overall feasibility of this design decision. Neither Axons nor Assemblers are viable in combat, though in keeping with the theme of this mod they both have tactical uses, which I will cover in their respective sections. 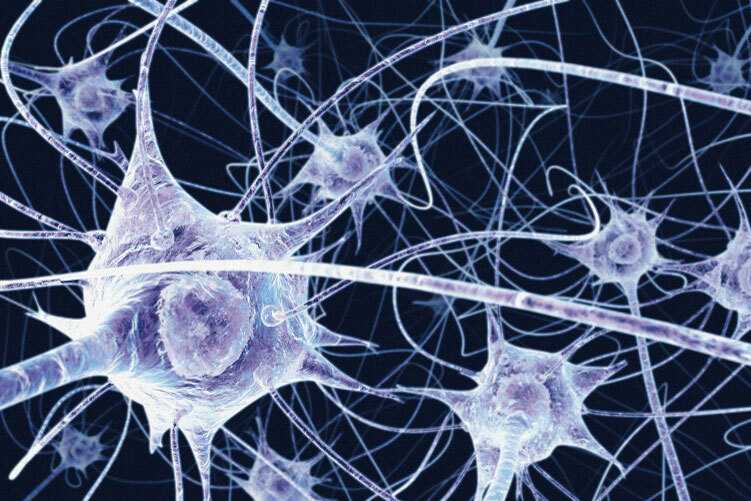 The Dendrite player may only have one Axon at a time. While most Constructors upgrades focus on the Constructor itself, Dendrites upgrades tend to focus on the “Dendrite” class of units. Dendrite units are considered the core of the faction, and comprise 3 basic forms: Imbuers, Concussors and Assemblers. Upgrades for the Dendrites add and modify basic characteristics of these units in particular, sometimes allowing them to pass those buffs along to other units (Auras). In some ways, the Imbuer is the most basic Dendrite unit. In some, it is its ultimate weapon. The Imbuer is a low-health harvester unit, considerably cheaper than the Constructors parallel, the Scrapper. I have modified the harvest rates of these units such that 2 Imbuers gather the same resources per trip as a single Scrapper. Imbuers are intended to be mass produced, for a variety of reasons. Imbuers are also ‘spent’ as a component of Tier 2 units for the Dendrites. An Imbuer must be combined with a Tier 1 unit to produce a Tier 2 unit, much like how Archons are built using 2 High Templar. I am additionally planning an ability for them where they can spend themselves to provide other units with a permanent buff to either damage or armor (which will not stack). The ultimate use of the Imbuer, however, is its attack. The Imbuer’s attack will have a short Range Slop (that is, it will be easy for units to get out of range of its attack) a short range, and a long Backswing (that is, it will wait a long time after meeting attack conditions to actually attack). But, once the attack goes off, the Imbuer will kill itself and change the ownership of the target unit to that of the Dendrites player. The Imbuer, if it survives to make its attack and its prey cannot escape, will ‘spend’ (kill) the Imbuer and convert any non-hero class unit (e.g. the Constructor) to the control Dendrites player. This will not affect structures. Several Tier 2 units and upgrade options are designed to facilitate this ability (disabling or slowing enemy units). This is also intended to keep opponents of the Dendrites player on their toes and facilitate micro in combat. I am considering a Tier 2 upgrade that allows Tier 2 units to spawn an Imbuer when they die. I am using the Virophage Feederling model for the Imbuer currently. An earlier version used the Zerg Larva, which was pretty amusing. The Assembler is the primary builder of units for the Dendrites faction. Like the Imbuer, or like a Zerg Drone from StarCraft, it ‘spends’ itself to become a building. However, unlike a Drone, the Assembler is a high HP, high cost unit with a fairly long build time. This results in most Dendrites structures being incredibly cheap (as the cost is the cumulative cost of the Assembler and the resulting structure) and quick to build. Assemblers can transform into Axons, and Axons back to Assemblers, though there is some cost inefficiency related to this as the cost of the Axon is not refunded when it turns back into an Assembler. The Assembler is a major recipient of upgrades for the Dendrites factions, and will receive a number of auras, from health regen to energy regen, armor, enemy slow, et cetera. It has no other attack, however. Assemblers can only have one aura active at a time, and Assembler auras do not stack. 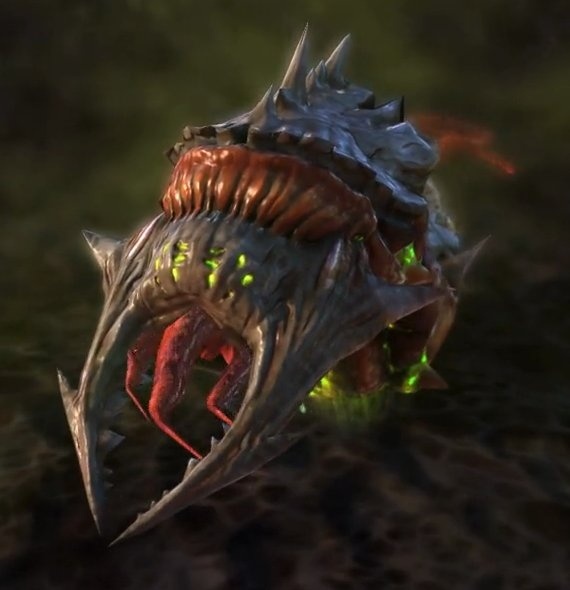 Currently the Assembler uses the Zerg Queen model though I am looking for something more appropriate. The Concussor is the primary attacking unit for the Dendrites faction. It is, essentially, a mini-Colossus (Protoss Unit, StarCraft 2) with a short range area attack (think 2-3, not the Colossus’ 6-9). The Concussor has Energy, and the less remaining Energy it has, the less damage its attack does, with 50% damage dealt when the unit has no Energy. These units are relatively fragile and slow, but devastating en masse if they can get in range. My intent is for the Lookout Inhibitor effect to cause Concussors to behave as though they had no remaining Energy and do 50% damage while within the Inhibitor radius. Currently the Concussor uses the model for the Infestor, scaled down, though I’ve gone through a couple of iterations of this and am not quite happy with the results. The Hawk is currently using a scaled down version of the Viper model though I’m looking for something more appropriate. The Needler is a small, fragile and slow ranged unit that can attack both ground and air targets. It is produced by morphing an Imbuer. It is effectively a sniper, with range 9. Like the Hawk, it requires its own prerequisite structure. Its attacks completely ignore armor bonuses. It has a low rate of fire. I’m watching these units carefully to determine if they are too powerful, and may change their nature down the road. The Needler is currently using the model for the creep unit Lab Bot 1-X, though I’m looking for something more appropriate. The Current is somewhat unique for the Dendrites faction. It must be researched at the Axon and is produced by a spell effect, not a build queue. I’m designing their statistics with the intent that it will be resource inefficient to mass produce them. Currents are small and don’t do much damage, serving like Necron Scarabs to soak shots for more important units. They have 2 range, making them one of the shortest-ranged units in the game. They have Electric-class armor, making them completely immune to Ram attacks and the attacks of any other Electrics-based weapon, including that of the Concussor in Dendrites mirror situations, though the secondary effects of those weapons, such as slows, will still apply to them. The Current uses a teeny tiny Archon model, and retains the Archon attack though it does not do splash damage. I am toying with giving them an expiration of 2-3 minutes due to potential abuse. Currents do not drop Scrap. I have some reservations about the Dendrites faction. They have many more moving parts than the Constructors, which is both an advantage and a disadvantage. They have more options at Tier 1/1.5, but acquiring and maintaining control of Power Pads is more important for Dendrites, as they require more structures to gain access to all of their Tier 1 units. Their distributed nature is a large innate advantage over the Constructors, but their number of units to manage and the relative complexity of their economic and production model has me worried that they may be significantly more difficult to play than the Constructors, at least in the early game. I have yet to get the Tier 1 of either faction to a place where play-testing is viable. I’m getting fairly comfortable copying and modifying units and existing abilities, but some abilities which I am building from the ground up are taking more time. I am also currently attempting to flesh out structure functions and upgrades more, to make early game play more varied and interesting. For instance, I am considering lowering the starting HP and damage of the Constructor and tying a larger percentage of its Tier 1 power to expensive and time-consuming upgrades, putting more emphasis on the decision to build additional units vs upgrading the Constructor itself. I have yet to fully implement the Burning Wreck effect or the Power system, either, and am re-thinking some of the specifics of the Power system based on my discoveries while building it.